While starting the Photoshop. You will find a prompting to reset the Photoshop Settings. just click on OK .. Note: if You reset the Preferences and Photoshop I will also effect on custom shortcuts, work spaces, and color settings to be reset to default. 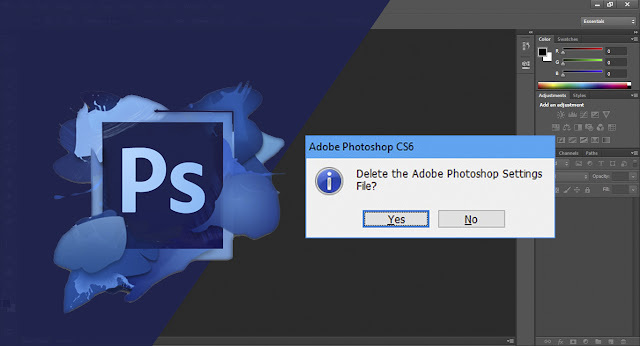 Sometimes Photoshop occurs some warning messages. And there you have a option to Do not show this. But you want to disable all the warning notification from the settings. • (Windows) Choose Edit > Preferences > General. • (Mac OS) Choose Photoshop > Preferences > General. 2. Click Reset All Warning Dialogs, and click OK.